– You get bloated all the time and it’s weighting you down. – You find yourself constantly fatigue, dizzy, and distracted. – You easily suffer from bad mood, annoyance, and aches. – You experience skin problems such as sore, itch, and irritation. – You feel your body is out of balance from its proper working state. Many of these symptoms, as well as others (e.g., bad breath) can be signs that disease-causing toxins have built up in your body. Even if you are not sick, toxins are keeping you from feeling as energetic and looking as good as you could—and that’s where detoxification comes in. 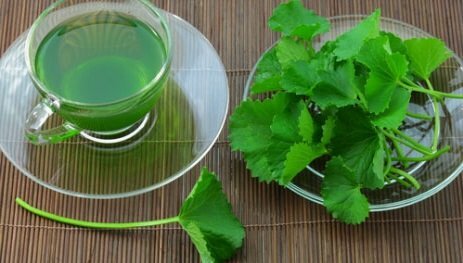 Detox is a process that accelerates the body’s natural cleansing functions by amplifying the effects of a healthy diet. After the detox, continuing a healthy diet will prolong the benefits you jump-started from your internal purification. Now, approaching a detox may seen overwhelming and take months to perform—however, it is perfectly doable one day at a time for only seven days and will leave you feeling better and even looking better in no time! Each daily regimen offers lists of healthy foods and methods for cleansing that day’s system. No expensive or hard-to-find products are used—just fresh, healthy foods, clean water, soap, and other things you can find in your home or local stores. Helpful tips are also offered for continuing to benefit from healthier living, including diet, exfoliation of the skin, and periodic detox about every 3 months. The plan is explained for the average person with no special medical training. 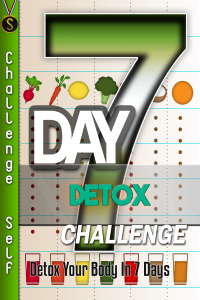 Simply follow it one day at a time, step by step, for 7 days—and enjoy better health through detox. You can do this!